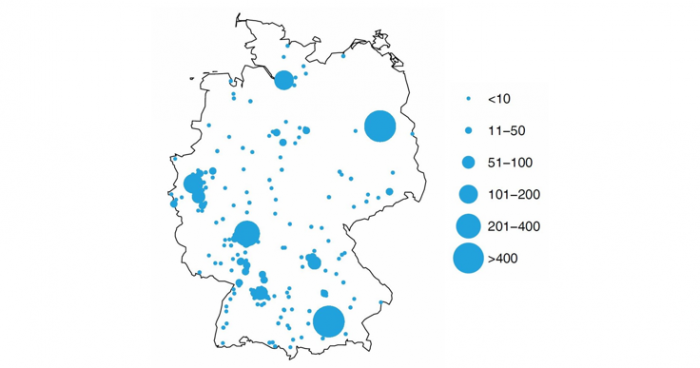 Data science is flourishing in Germany and the demand for data specialists is high and rising. But do regional differences exists and can we identify certain clusters or hotspots? Current job openings may indicate the growth in data science jobs in each region. We downloaded all openings on Indeed to obtain a rough idea of where in the country data science is booming. We proceeded by scraping all job listings for data science related keywords (Data Scientist, Data Analyst, Big Data, Machine Learning) in Germany in June 2017. We then analyzed the locations of the 2807 job postings we found. 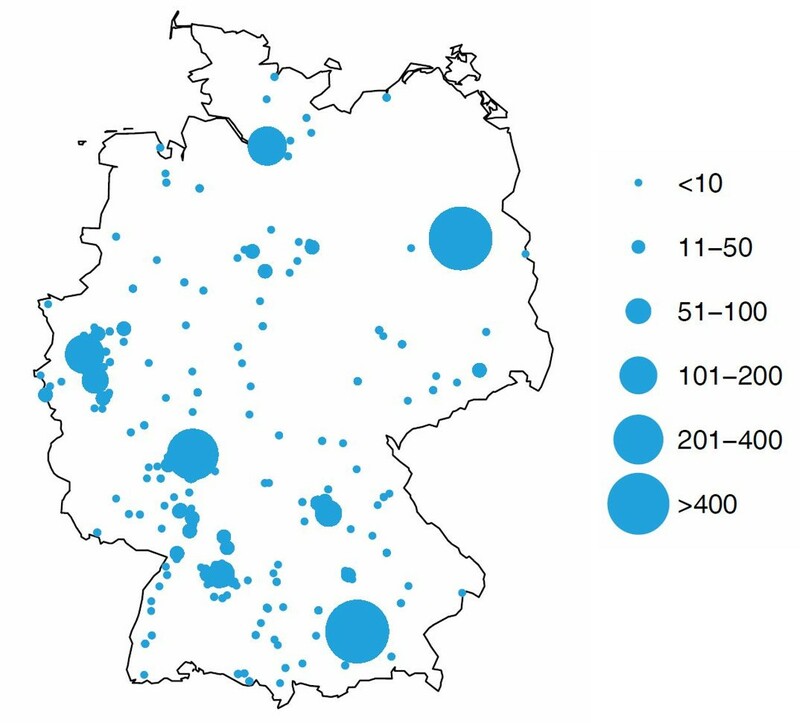 Figure 1 plots the location of each job posting on a map of Germany. Unsurprisingly, the startup friendly city of Berlin proves to be a hub for data science – Indeed lists 496 data science jobs for the national capital. Munich follows a close second with 447 job postings. Even though the Bavarian capital’s population is less than half the size of Berlin’s, Munich currently offers almost the same number of data science jobs! Frankfurt am Main follows with 250 jobs, mainly due to the financial industry. Hamburg (170 jobs) and Dusseldorf (120 jobs) take places four and five. For the Ruhr Area (Düsseldorf, Cologne, Bonn, Aachen, Dortmund and Essen), about 300 jobs can be found. Nuremberg – including nearby Herzogenaurach – has 100 job postings, Stuttgart 70. Many job openings are located in smaller cities between Stuttgart and Frankfurt am Main: Sankt Leon-Rot, Karlsruhe, Darmstadt, Renningen, Heidelberg, Mannheim and Abstatt have a total of 170 job posts. Another small center can be identified around Hannover, Wolfsburg and Hildesheim, with a combined total of 50 job openings. Performed a fascinating analysis you’d like to publish and share? Found a cool dataset that should be featured on our page? Contribute to our blog!